Whether you are looking for an excellent rental investment opportunity, a family compound or a vacation get away with extra income potential, this is the property you're looking for. 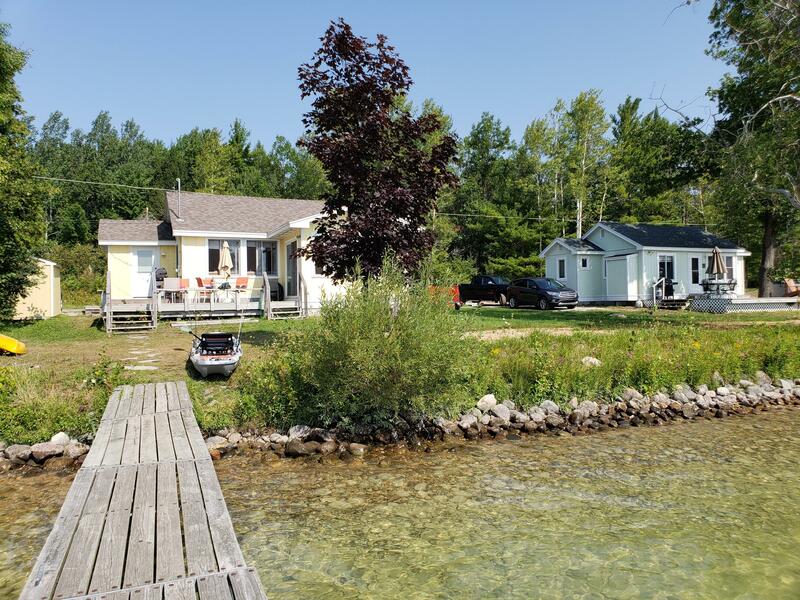 Two newly remodeled cottages sitting on 185' of prime Mullett Lake frontage. Each cottage has 2 bedrooms, a full bath, spacious kitchen/dining/living area, a laundry and private dock. One unit is slightly larger with a sun room and the other has a large deck with a hot tub. Turn key option is available including furnishings, kitchen equipment, linens, etc. Owner currently uses it several times a year and rents it the balance of the year. The gross rental income (before management fees) for 2017 was approximately $45,000. Units are currently rented through Labor Day. See supplement for additional details.